This is an exciting time to be living in Pittsburgh. The city is experiencing what some have referred to as a renaissance. Powerhouses like Uber, Google, and ModCloth are based right in our back yard; major movies and television shows are being filmed here; even the city's fashion scene is on the rise, with cool Boutiques and Specialty Stores popping up left and right. Recently, I, (with the help of some Facebook friends), compiled a list of the top under-the-radar places to shop in Pittsburgh. Featuring designers that manufacture in the USA as well as vintage comforts, Calligramme carries a unique blend of lingerie, home goods, and specialty items for women. Looking for vintage clothing? Well, look no more. Buy, sell and trade second-hand and vintage clothing/accessories/shoes at Clothes Minded. Known for designing shoes that are a work of art. 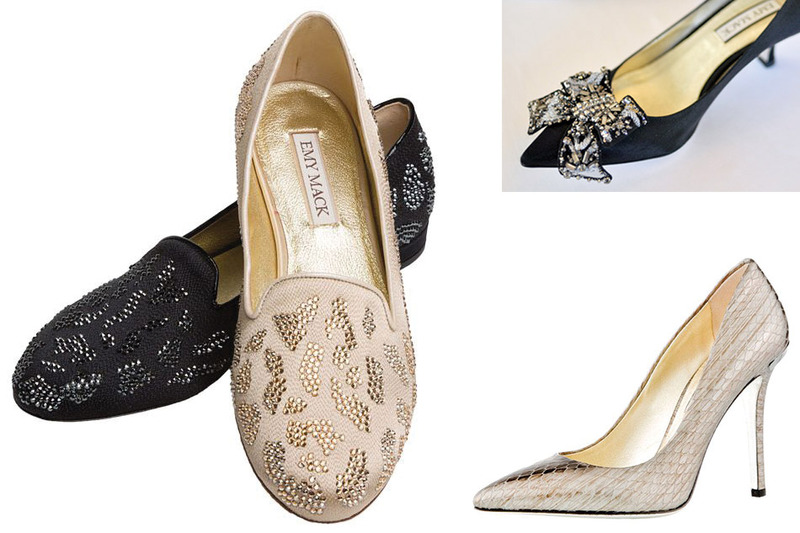 Emy Mack Shoes have been featured in publications such as Marie Claire, Women's Wear Daily and Lucky and on the runways of Mercedes Benz Fashion Week and the hit TV Show, Project Runway. Catering to the fashionable budget savvy working-woman, Exotic Hush gives style and comfort to each client, offering unique clothing in a wide range of sizes, accessories and footwear. A lifestyle boutique for the modern mystic and carries Bohemian vintage apparel, home decor, crystals, candles, sage, jewelry, natural perfume and skin care selections, and tarot and oracle decks. Gina Mazzotta Millinery, Downtown Pittsburgh (featured above). Hat lovers unite! American milliner, Gina Mazzotta creates original, hand-made custom hats for women, men and children. A treasure-trove of gently worn women's and junior's clothing and accessories in a wide variety of designer fashions and styles. Pittsburgh's largest collection of men's designer underwear and swimwear. Award-winning image consultant and fashion stylist, Bear Brandegee carries the Worth New York collection, a luxury women's clothing line, with an impeccable reputation for quality and design. Book your private Worth New York appointment with Bear today! An independent design and lifestyle shop for women and home with a focus on ethical sourcing and sustainable manufacturing practices. What are some of your favorite under-the-radar places to shop? Wadria Taylor is a event producer, public speaker, and marketing maven. She is also founder of Style Week Pittsburgh, an annual multi-day event series promoting the arts and fashion and Style & Steel, a Pittsburgh based Event Planning and Marketing company.